i.imgur.com/tZGExyu.png uhh i got boring of it after 20h and was pushing mu self to play it bec i waited for it 4+years, but now that i finished i feel so sad..
he finally fulfilled your expectations? Well have u completed the DLC episodes ? The DLC episodes introduce a somwht new gameplay and while Ep Gladio may feel a bit boring, but as u go to Ep Promptou and Ep Ignis DLC's it will get enjoyable slowly. Wish SE hadn't cancelled most of the DLC's tht could have made this game even better. the last DLC for the game Ep Ardyn will be out 26th of this month. Definitely get tht if u liked Ardyn as a villian. have u played as one of the other characters in ur party during free roam mode battles in the main game apart from the temporary last boss fight. U need to unlock this skill as abilities in the astral sphere which is really stupid imo and should have been introduced in the game from the start. I feel some negative aspects of this games r basic tweaks tht should have been adjusted and tweaked correctly. Stuff like this r just a tip in the iceberg. the things I really hated in this game is the control display for controller, explanation of controls for a controller, mapping of control for a controller and the camera during fights. the former which is control display is very forgettable and doesn't feel like a guide rather a messy bloat on the screen. the latter well mapping some basic things in one button is surely a big mistake when u have the sensitivity so broken and hey its controller and region exclusive. the original Jap ver of this game used different buttons for interact and jump, but some genius while localizing the game made this mistake. A for interact and Jump...ugh! X would have been better. weirdly the KB and M controls r better in this game and if u had played this game in KB and M then u would not have noticed it. then the camera during battle is one more mistake again they could have fixed easily. the demo for this game Episode Duscae, was somewht better in some aspects especially the camera mainly. for the sake of some flashy abilities they destroyed the battle camera in the end. how I wish a mod existed for the modding promised game to fix this issues. literally half of this issues can be fixed with mods but no even tht is not possible as the devs semi abandoned the game in the end and instead we only have replace mods made with help of the lazy mod organizer the devs released instead of the mod tool they honestly were working on. Sigh! Sorry for ranting like this. wanted to keep it short but I had to let it all out. 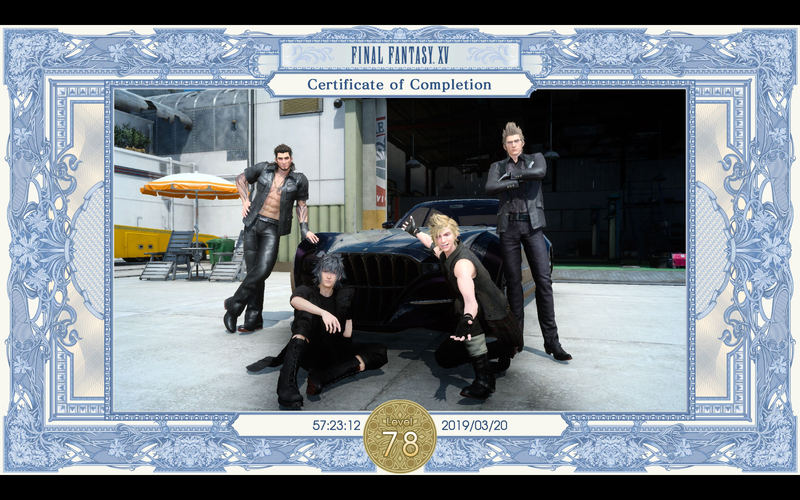 I finished the main game at lvl 45 normal and yeah I had my fair share of happiness and despair in this game. oh a small secret visit the Pitous dungeon located in the ravatogh region of the world if u havent been there yet. u will need the flying regalia to get there. Its a secret dungeon I liked a lot and also hated a lot. good luck playing it. good to know u did pitous and other post game dungeons. I barely did 5 iirc overall. well good luck with the DLC's. I hope u will have a blast playing through it.